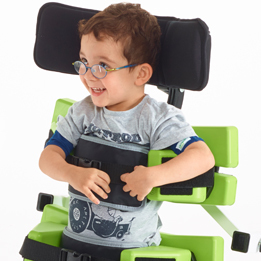 The popular Jenx Multistander is a highly versatile 3 in 1 standing frame suitable for children from around 9 months right up to 13 years, across two sizes and provides highly supportive standing in prone, supine or upright. 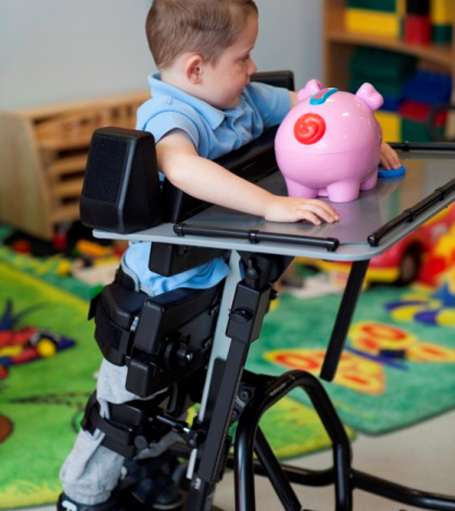 An unrivalled amount of adjustment for height and width, and a maximum user weight of 60kg on the size 2, make the Multistander the perfect choice for growing children or multi-user environments. 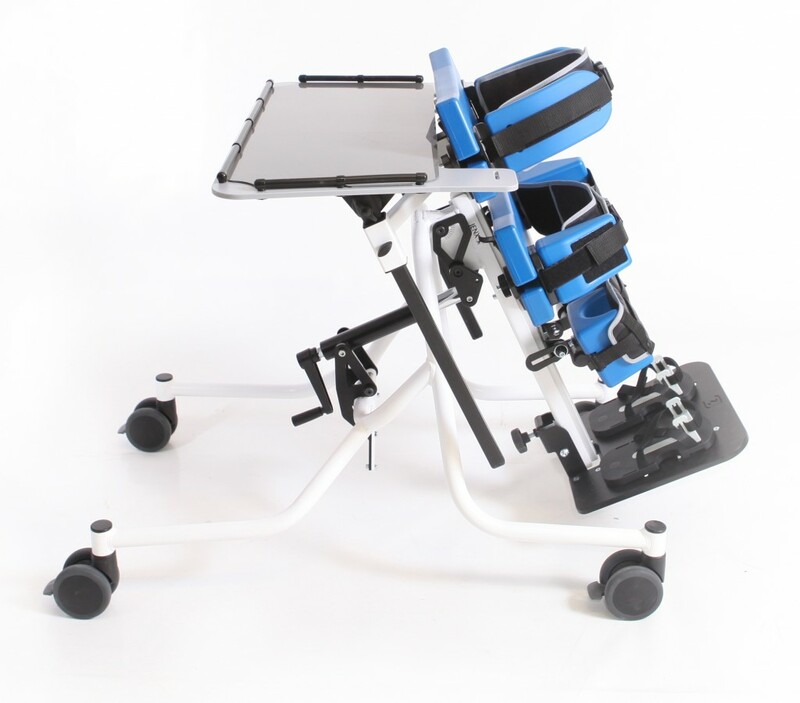 Smooth and easy angle adjustments take the Multistander from horizontal right through to upright facilitating easy transfers in supine and an unlimited scope for setting the precise standing angle required for every child. 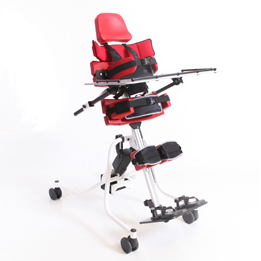 The Multistander has a wide variety of head, trunk, leg and foot support options allow you to customise every Multistander for any individual user, whilst the deliberately open design ensures you can easily see exactly how they are positioned each and every time. 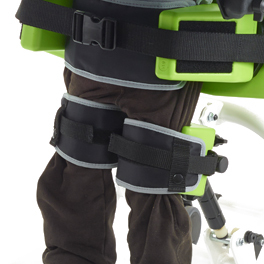 The capacity for outstanding thoracic and pelvic support coupled with highly adjustable leg positioning options make the Multistander a great option for almost every child. 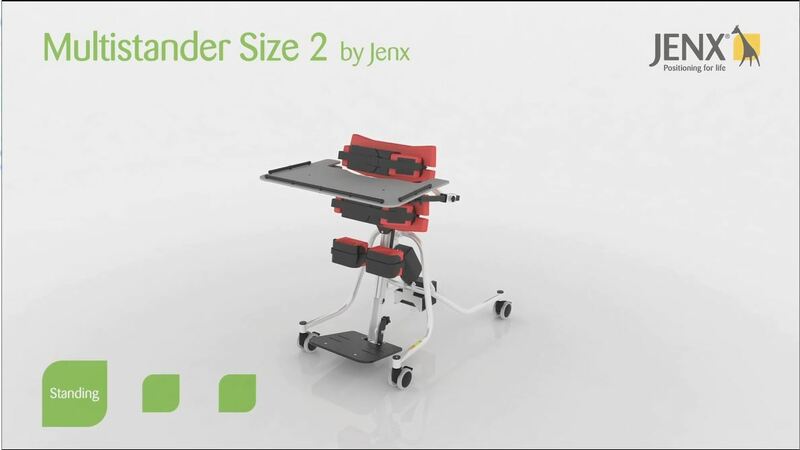 If you need flexibility, the Jenx Multistander has got it! 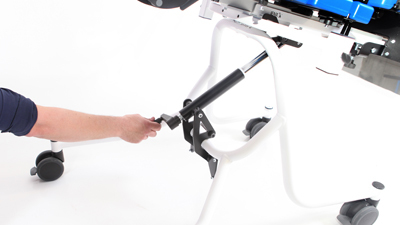 CLICK HERE to watch the instructional video for the Multistander size 1! 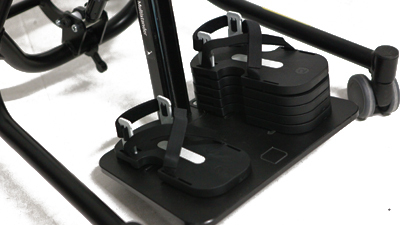 CLICK HERE to watch the instructional video for the Multistander size 2! 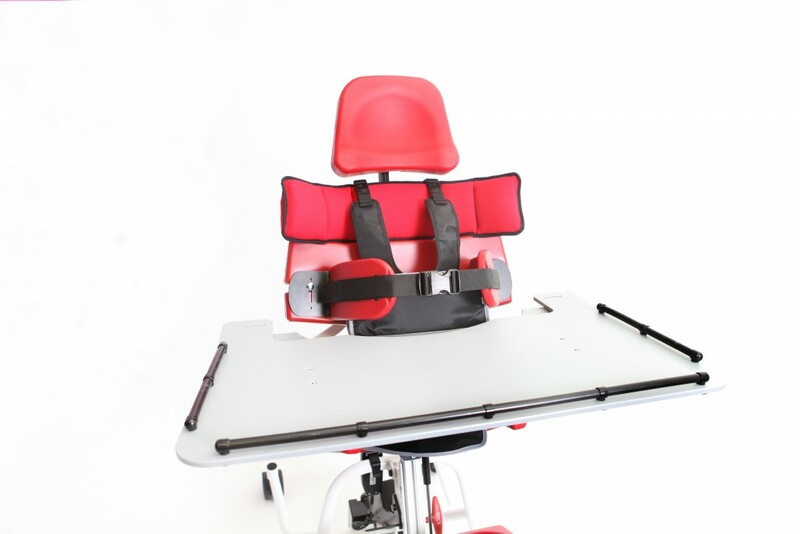 In prone, straps help to hold hips flush to the board, which helps to reduce the likelihood of a user standing with flexed hips. Robust lateral control in both prone and supine standing can be gained by using the side supports combined with the straps. This helps to maintain a symmetrical posture and give better proprioceptive feedback. 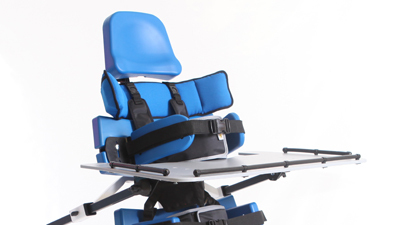 The Jenx Multistander has dual positioning and safety straps. 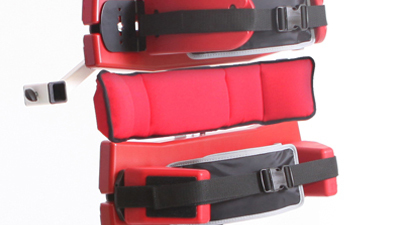 Once the length of the strap is set, the safety strap is simply adjusted to length and the final buckle secured. 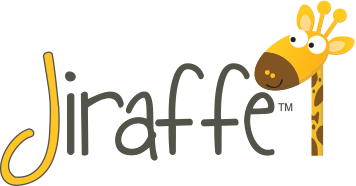 This helps to prevent other children/siblings undoing straps! For users who have a degree of spasticity and whose hips internally rotate, it is important not only to support their hips to control leg position but also to control their knees. 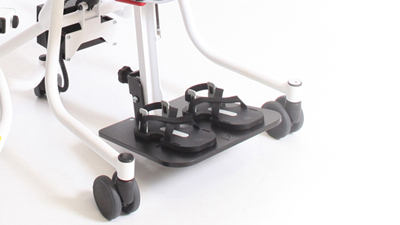 On the Jenx Multistander, the knee supports can be adjusted in lots of ways to offer ideal support to all users. 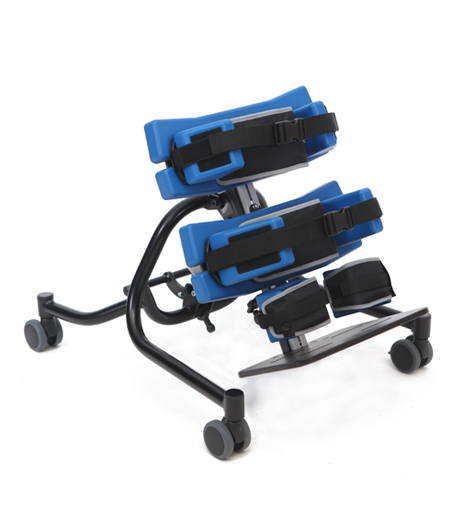 The supports adjust individually for height, width apart from each other, angle in both frontal and sagittal planes and also for depth to accommodate mild knee flexion. For user’s with a high degree of fixed flexion at the knee, please speak to your Product Advisor to ascertain the best option for the user. Trunk positioning in standing is an essential ingredient of good posture and positioning. 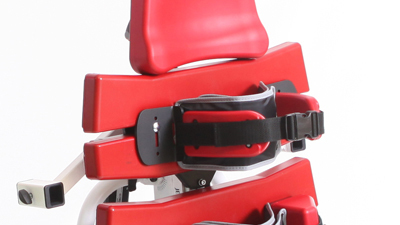 For the user who is unable to adopt an upright trunk for themselves, lateral supports and derotational straps are available to offer that extra support. On the Size 2, a Jenx Waistcoat Harness helps provide additional trunk and shoulder stability for children with low tone. 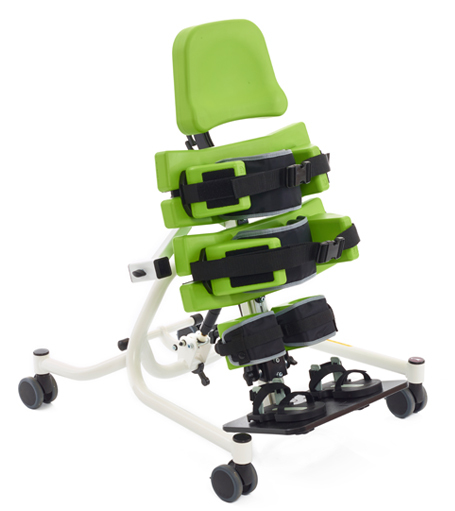 In addition the new Size 2 has a Multigrip™ body support option, which can provide additional lumbar support or shoulder support when in supine, helping children maintain the correct posture. When striving to achieve the optimal position for a child first time, every time, being able to see how they are positioned is key. 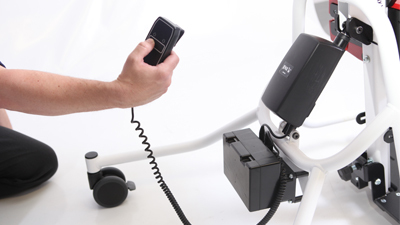 Every Jenx product is created in conjunction with therapists and carers who work with equipment every day. 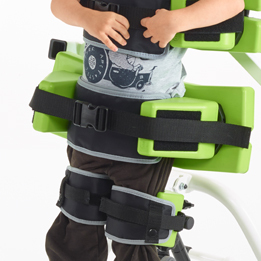 The Multistander has been carefully designed to enable whoever is standing the child to see as much as possible of their pelvis, legs, trunk and head at a glance– to make sure everything is where it should be and the child can be comfortable, happy and well supported in their activities. The compact footprint means it is non-intrusive in even the smallest of family homes. 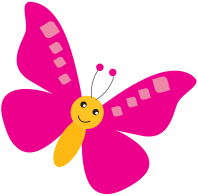 Each child will have a slightly different posture in standing and need slightly different support. 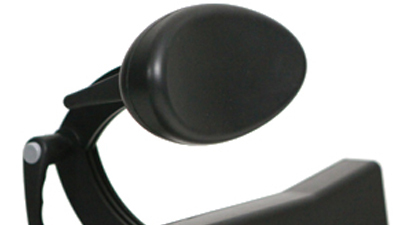 The angle of the support surface can be adjusted from 10° off horizontal through to upright, 90°. 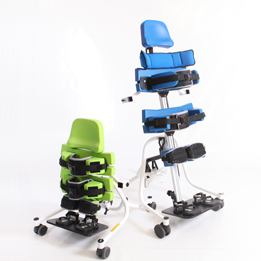 And, because the adjustment is infinite, Multistander can be set to exactly the right angle for each individual child. This means a child’s progress can be monitored and the angle of the board altered in line with changes in their ability. 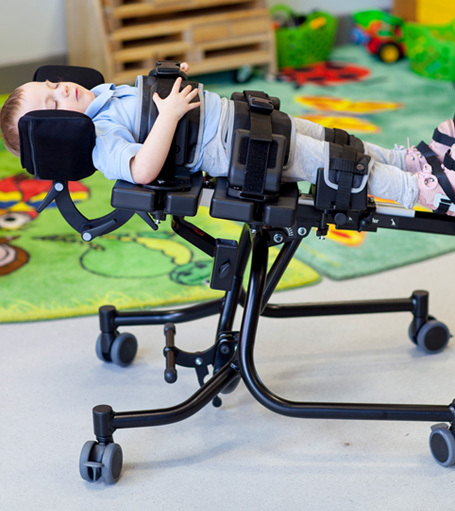 Tilt-in-Space allows the the angle of the Jenx Multistander to be adjusted quickly and smoothly, using a gas spring to move from prone or supine standing positions to fully horizontal easily and with minimum discomfort to the child. This helps with making hoist transfers quicker and safer for both child and carer. 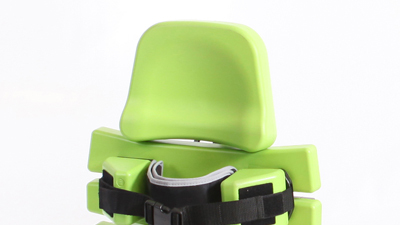 Flexible Hip Boards: The chest and hip boards can be independently altered and fixed allowing you to exactly accommodate the proportions of each child and giving scope to avoid delicate areas such as feeding buttons. 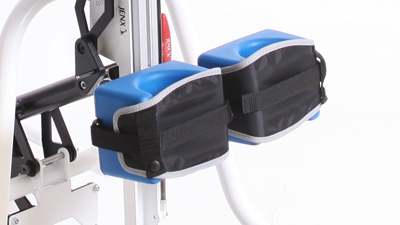 Adjustable and Safe Hip & Chest Straps: The innovative straps fasten in the centre and adjust independently from either side, enabling a mid-line position to be achieved and maintained. 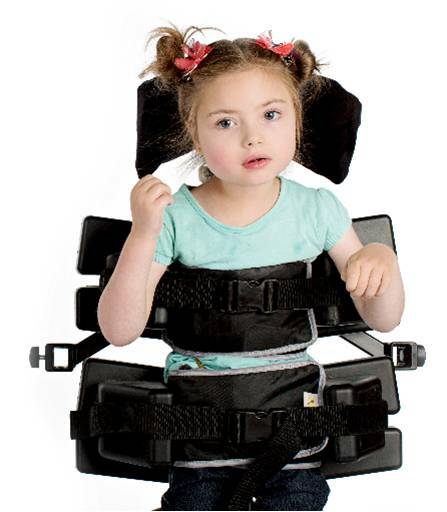 Buckles and Velcro mean that once adjusted correctly the straps can be fixed making it difficult for siblings or classmates to tamper with and keeping everything looking neat and tidy! 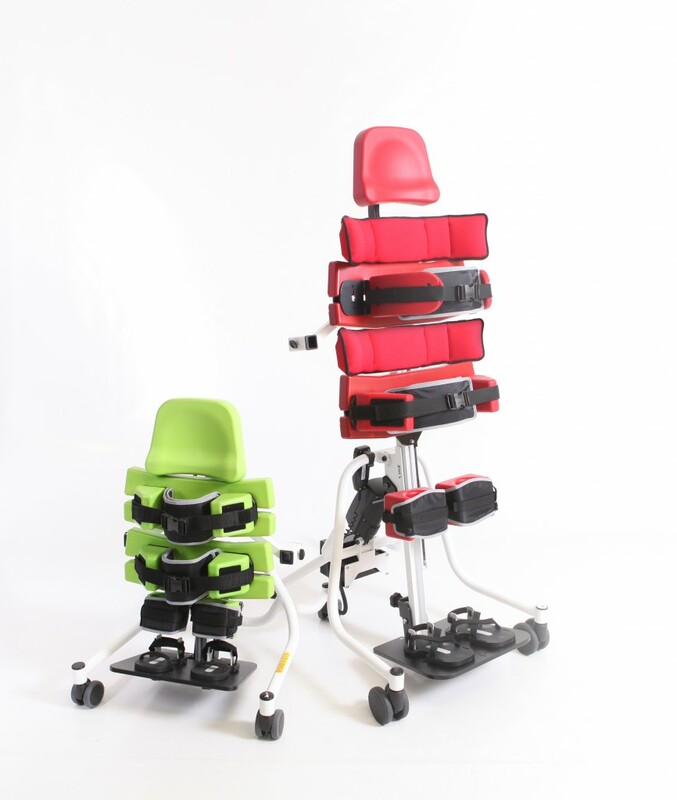 Versatile growth: The Multistander is unique in offering a product that can go larger, wider, narrower and accommodate a heavier child than any other complete single stander on the market. Removable covers which wrap around the centre of the chest and pelvic boards to add a splash of colour and for use with chest prompt. For product codes for specific colours, please speak to your local Distributor for full details. Footplate with simple adjustment for dorsi and plantarflexion. *NB: On compatible with size 1 frame. NB: Knee Blocks (MB09/MB04) must be specified separately. 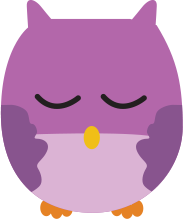 The Chest Prompt is a small foam sternal prompt, used to encourage extension of the thorax and help improve head control. *NB: Only compatible on size 1 frame. Tray for use in prone or supine. Important for stabilising and supporting the hips for excellent postural management. These come as a pair with padded de-rotational straps. *NB: Both sizes compatible with frame sizes 1&2. Ideal leg positioning made easy with adjustment through 5 planes. Comes with padded knee straps. 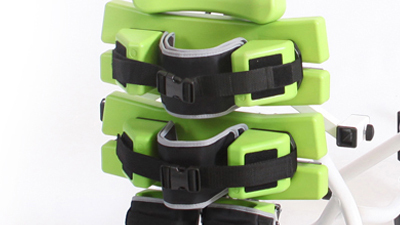 Thoracic Support Pads help to maintain the correct position by supporting the trunk. They come as a pair with padded de-rotational straps. *NB: All sizes compatible with frame sizes 1&2. The original and innovative Jenx Multigrip™ headrest is now available in 3 sizes, all of which are compatible with the Multistander. *NB: Compatible with frame sizes 1&2. 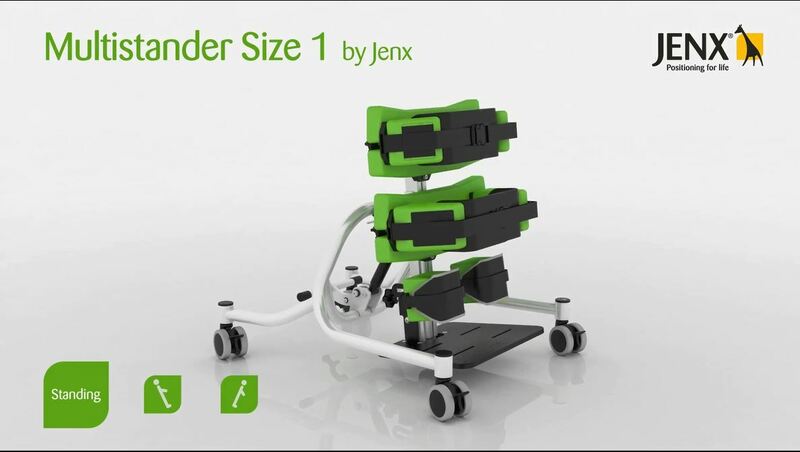 Available in 4 different sizes* to accommodate any size of foot, even when wearing splints, Jenx sandals are interchangeable across the entire range of Jenx seating and standing products. *NB: Size 4 is not appropriate for use with Multistander. 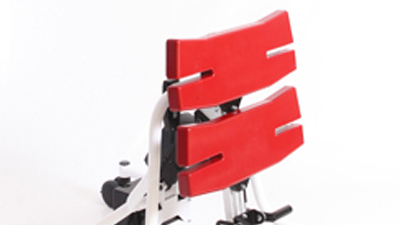 To provide extra support on either shoulders or lumbar area. *NB: Compatible with size 2 frame only. *NB: Knee blocks must be specified separately. **NB: Manual frame available on white frame only. 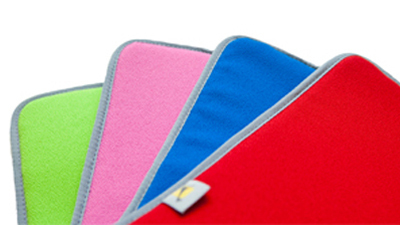 PU chest and hip boards in a range of 6 colours: Lime green, pink, blue, red, neutral or black. Polyeurathane, or PU is a highly flexible and versatile material used across many elements in the Jenx range. Impervious to fluids and containing an antimicrobial agent, it is easy to clean and ideal from an infection control and re-issue point of view. Particularly beneficial on standing products where a standing position often leads to soiling of equipment, which if upholstered can be difficult and time consuming to clean – with PU simply clean with an antibacterial spray or wipe and the product is ready to be put right back into use – ideal for busy families and time pressured therapists. The original Jenx Multigrip™, a unique and pioneering design. 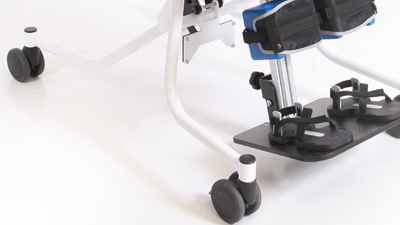 Carefully designed to mimic the infinitely adjustable support offered by caring hands. Individual fingers on the Multigrip™ are adjusted to cushion, support and control almost any head position. Highly padded, removable and washable covers make Jenx Multigrip™ head supports a practical solution for almost any child. Multigrip™ head supports are available in a range of different sizes, all including your choice of highly flexible fixing bracket, giving adjustment for height, depth and angle. Through this combination there is scope to block areas that may otherwise pose a hazard to children prone to getting their heads stuck beneath more conventional headrest designs.